Using the ‘KonMari’ method, families comb through their belongings room by room, keeping items that “spark joy”. Imagine my thrill, then, at discovering a TV show about tidying. Then discovering it’s not aired on an obscure channel in the middle of the day to be half-watched by housewives, it’s on Netflix. Then discovering it’s a huge hit. Hooray! Perhaps I’m not such a neurotic oddball after all. 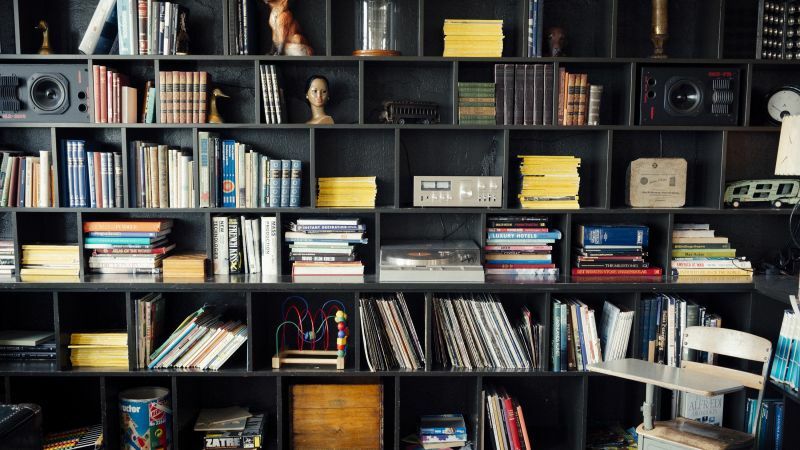 The show I’m referring to is Tidying Up with Marie Kondo which sees the Japanese organising consultant and author help American families cull the clutter in their homes using her ‘KonMari’ method. In brief, families comb through their belongings room by room, keeping items that “spark joy” for them, and thanking then letting go of those that don’t. Although a simple concept, it’s surprisingly difficult to define “spark joy” concisely. As the show demonstrates, it’s more of a sense, an intangible gut feeling that is individual and doesn’t necessarily appeal to any logic. Marie encourages families to go through their items individually, hold each one firmly in both hands and observe their physical response. An item can be said to spark joy if it gives the person holding it a thrill. Marie offers a sort of euphoric squeal as her definition of this sensation. Feelings of heaviness, on the other hand, indicate that the item does not spark joy and does not have a place in the house. What sparks joy for me, and has done for people seemingly the world over, is Marie herself. She is the very essence of kawaii, impossibly petite and pure. Despite the language barrier (Marie communicates with families using an interpreter; I’d like to be a fly on the wall at that television executive meeting…), she endears herself to families before she’s crossed the threshold. She is so delicate I flinch every time she nears a hard surface or sharp corner, anxious she might burst like a bubble. Unlike brash, dramatic shows like Hoarders, where possessions graze the ceiling in each room and the floor is nowhere to be seen, there is no shock factor in Tidying Up with Marie Kondo and Marie doesn’t shame families for either the clutter they’ve accumulated or their inability to part with items for no discernible reason other than “because”. That faded, threadbare band T-shirt you bought 20 years ago is allowed to stay. As a result, though, the before and after reveals are usually nothing to write home about, even with attempts to add drama by bathing the before shots in monochrome. However, it’s the human element that makes this show engaging. It’s seeing a couple, drifting apart with the pressures of full-time jobs and young children, opening a dusty box in the garage and re-discovering their wedding video. It’s the recent widow donating her late husband’s clothes to charity, gaining closure and seeing a clearer. optimistic future for herself. When I welled up it certainly wasn’t over the rows of identically folded socks (although they were beautiful in their own way). Does the show have a second series in it? I’m not convinced. Each 35-minute episode is regimented in its format: organise clothing; then books, documents, kitchen and bathroom miscellany; and then sentimental items. Viewers may gleam the occasional “bonus tip” but there’s only so far that can carry the show forward. This season should not be dismissed, though. 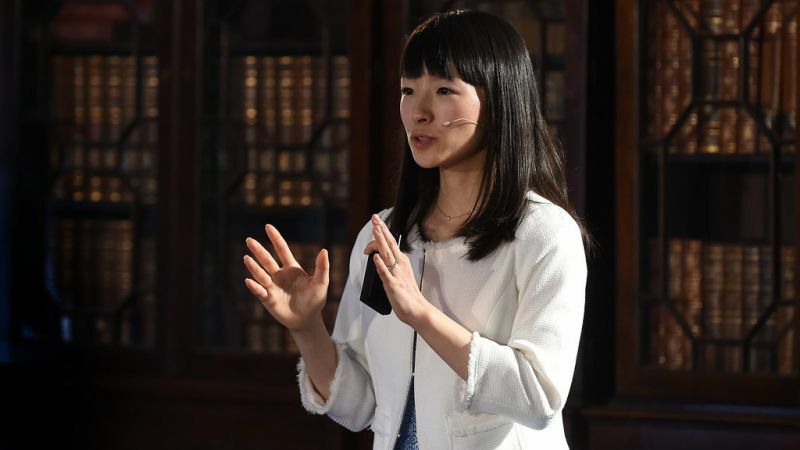 Since it aired at the start of the year, the ‘Marie Kondo effect’ has seen charity/thrift shops fit to burst with donations and consumers thinking twice about their penchant for fast fashion. Not bad for a show that some critics have said is “just about tidying”.